Everyone knows that we love travelling in a motorhome. For those of you who have read about our trips in such a vehicle, you’ll know that when I am writing, I always struggle with what to call it. Campervans, motorhomes, camping cars and RVs are all terms that are used, often interchangeably. For this article, we’re on the RV bandwagon. I get many questions from travellers who want to buy these vehicles but often don’t know how to go about it. Equally, travellers often want to rent them, without having to go to a hiring company. Travelling via RV in the USA is a big industry. Many people own them, but they aren’t always using them. Downtime costs money. My friends over at RVshare have a great solution that involves owners renting their RVs when they aren’t using them. Keep reading for more information on how it works. Note, whilst this might be aimed more directly at those that own them, it’s also a great way to find a ‘deal’ if you are looking to rent. If you own an RV (recreational vehicle), it is likely you don’t use it every day, and when it’s not in use, it becomes an asset that just sits idle in your driveway or in storage. Thanks to the internet, the sharing economy has flourished for homeowners, and now, the sharing economy goes beyond homes and vacation properties. Everyone can use a little extra money these days, and this process has created a way to increase your bank account by leveraging your assets. Now if you own an RV, you can rent out your RV when you’re not using it. Here’s how you can use your RV as a second income. Going on a road trip in something smaller? Read this great article about how to pack a small car for a big trip. Why rent your RV out? As an RV owner, you have the ability to travel the country without needing to rent an additional vehicle but the same isn’t true for other travellers. Before the sharing economy developed, travellers would simply go to the RV dealer and rent a vehicle for a certain amount of time, but this could be a time-consuming and costly expense. The ability to make money on unused RVs has shifted to personal RV owners and away from the dealers. RVshare.com, the largest RV rental marketplace for peer-to-peer RV rental, is a popular destination for RV owners who want to rent their vehicle. The benefit of using such a service as RVshare is that the RV owner is in control, able to set their price and schedule, and screen potential renters. This operates similarly to Airbnb and VRBO, a portal that lets homeowners rent their homes. One of the greatest non-financial benefits is that the marketplace is also a dedicated community of individuals that love the RV life and participating connects you with new RV fans from all over the country. How much can you earn renting your RV? When you rent your RV out, you can expect to make at least $100 a day, or more. The actual price depends on the type of RV you own, and you can look at comparable RVs to set your price. Some RV owners are earning more than $300 a day renting their RVs. You’ll soon find renting your RV out on a website like RVshare is a good easy way to use your RV to enjoy a second income. Users of the marketplace have said they’ve earned upwards of over $12,000 in 2015, and more than half of that in 2016, while other RV owners report earning nearly $4,000 in only a few rentals. Other users have earned over $50,000 annually renting their RV. The proceeds from renting to others have enabled many owners to pay down the accumulated debt on their RV, turning their vehicle into an even more valuable asset. If you owe money on your RV, and go to sell it, you may find you owe more than it is worth to a dealer. Renting your RV lets you reduce the gap between your debt and the market price. A business license if not required. Certain eligible expenses may be tax deductible when you rent an RV as well. The amount you earn depends on how often and for how much you rent your RV, therefore it’s best to have a good range of available dates for potential renters. Renting your RV peer-to-peer, (renting directly to another person) is easy. You don’t have to place advertisements online or signs in your area to find renters. This alone is attracting more RV owners to renting out their personal vehicles. Signing up with a website to rent your RV lets you control who rents your RV and when. However, you don’t handle the payment details yourself, which lets you relax and avoid hassles. RVshare.com, for instance, processes the payments and security deposits associated with the vehicle, then pays you after the rental begins. These websites also handle other important matters such as insurance and roadside assistance for you. If you’re not comfortable renting to someone for any reason, the websites let you decline the request. You have the ability to communicate with the potential renters as well, so the power of your RV rental is in your hands. There are multiple ways you can rent an RV out to an RV enthusiast. You may decide to rent it for any number of uses, such as nature excursions, scout trips, cross-country trips, camping trips, family vacations and more. You will be surprised at how many people are interested in renting an RV in your area. Any time you have idle time where you won’t use your RV, you have the ability to rent the vehicle out for extra income. 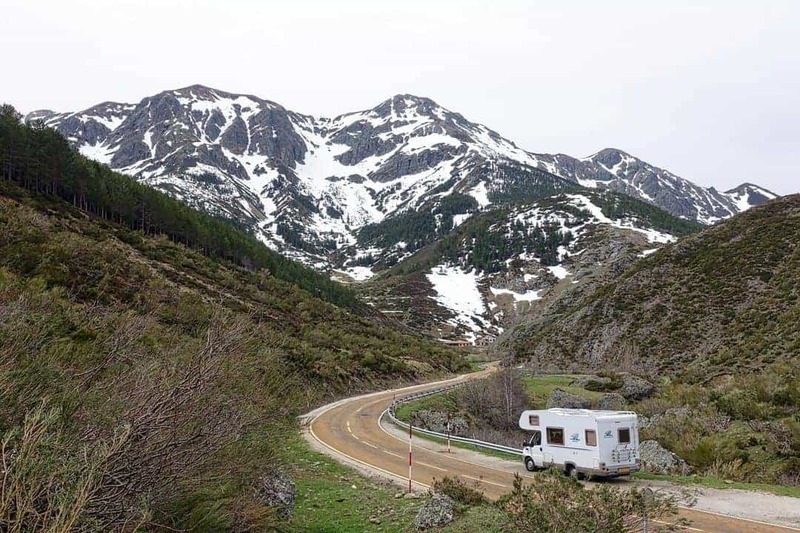 You may decide to travel only in the winter or fall, and that means the spring and summer months are a perfect opportunity to make up to $300 a day with your RV. The best way to maximize your RV rental income is to ensure that you have good photos and details about your RV, and an availability calendar that makes your RV an attractive rental. Consider the fact that from 2009 to 2015, the RV park industry has grown to a nearly $5 billion industry, with more individuals than ever enjoying the fun, freedom and convenience that RV travel offers. Camping still remains one of the country’s beloved pastimes, and RV rental gives non-RV owners to chance to see the world in a new way when camping. Even the media now appreciates the concept of renting RVs for extra cash, as websites like RVshare.com have appeared in popular press outlets like The Huffington Post and New York Times. You can also rent all types of RVs, including campers, travel trailers, truck campers and more. As an RV owner, you have the ability to have the conveniences of home when on the road, but for many, the RV life is just a dream. If you’ve dreamed of making money on the side for vacations, bills, or just to pad your savings account, renting your RV is the way you can make up to $300 a day. The best way to get started is to visit an RV rental website like RVshare.com and sign up so you can leverage their millions of visitors and find qualified renters for your vehicle. Looking to rent an RV in the USA? Click here. Great information! We have a camper, but I haven’t thought about renting it out. Gives you something to think about !